All submissions (papers, research panels and workshops) must be submitted no later than 1st February (24:00 CET). All submissions should be made online at: www.imiscoe.org. Applicants will be informed of the acceptance of their submission by 31st March 2016. The 2016 competition is open to all PhD recipients whose dissertations were defended within the 24-month period before the deadline for submission of 4 January 2016. Applicants are invited to apply on their own behalf, although dissertation supervisors may also nominate candidates. 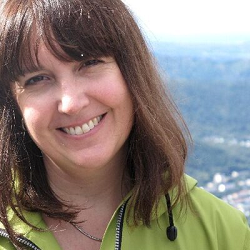 Fiona Adamson from the School of Oriental and African Studies at the University of London received the prize for her paper: " Sending states and the making of intra-diasporic politics: Turkey and its diasporas in Europe". 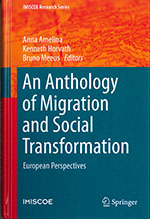 The contributions of this book examine contemporary dynamics of migration and mobility in the context of the general societal transformations that have taken place in Europe over the past few decades. All manuscripts submitted to IMISCOE for consideration, will be submitted to a two-round review procedure. First, to be considered for publication in the IMISCOE-Springer Research Series, all manuscripts must be formally proposed to the IMISCOE Editorial Committee. This will provide an opportunity to see how the manuscript fits within the series as a whole and if submission of the full manuscript for a formal review would thus be relevant. Proposals must be formatted according to the standard IMISCOE outline. When completing the IMISCOE outline, you will need the Springer Subject Codes. For more information on publishing with Springer, please visit www.springer.com/authors. To raise awareness of the difficulties faced by migrants December 18th is designated by the United Nations as International Migrants Day. In the article ‘Solidarity in Diverse Societies’, the political philosopher Will Kymlicka makes the point for multicultural national solidarity. Kymlicka argues that national solidarity can be a progressive resource for the mobilization of support for immigration and multiculturalism. It helps prevent forms of welfare chauvinism on the one hand as well as neoliberal forms of multiculturalism that might undermine the solidarity that is required in inclusive societies. So, rather than national solidarity being a source of nationalism and discontent toward migrants, it can also be a source for a multicultural welfare state. Thus, the inclusion of migrants will require national solidarity! On the occasion of the UN International Migrant’s Day, this article is showcased as it provides a unique angle on the inclusion of migrants. Furthermore, the journal CMS also showcases two responses to Kymlicka’s article, as illustrations of the sort of academic dialogues the journal entertains around migration issues. As you will be able to see, the political scientist Hanspeter Kriesi and the sociologist Irene Bloemraad have very different takes on Kymlicka’s argument.